The perfect finishing touch under a trimmed Christmas tree! This beautiful monogrammed Snowflake Wreath 54" quilted tree skirt features embroidered snowflakes against a cheerful red background, encircling a monogram. 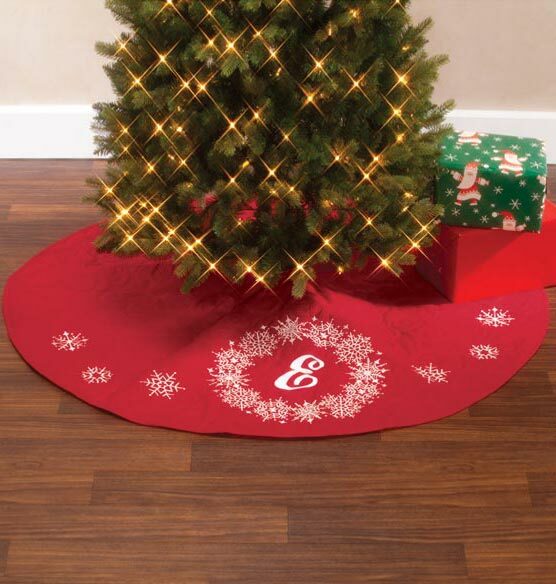 Add instant holiday spirit to the room with this festive flourish under the tree.